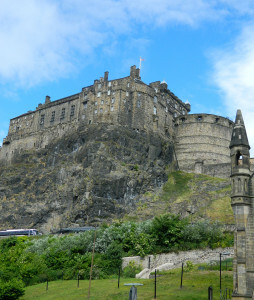 The city’s most famous attraction and biggest calling card is its movie-set-perfect castle, which is perched like an ancient fortress on top of Castle Rock. 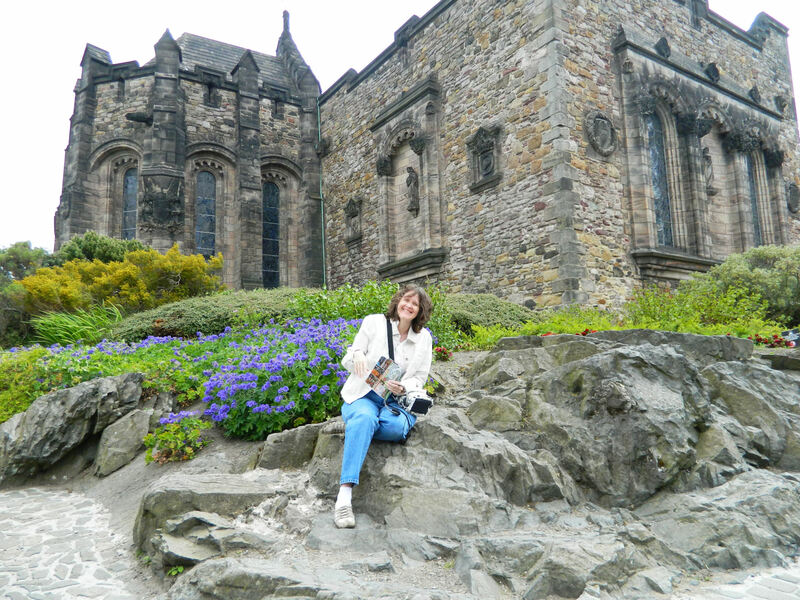 There are many buildings to explore here, but my favorite was definitely the Royal Palace, which included a crown room, the Great Dining Hall, and Mary, Queen of Scots’ birthing chamber. The whole thing is spectacular! NOTE: Make sure you pre-order admission tickets online. I didn’t and had to wait (while it rained off and on) for an hour to enter. And definitely rent a headphones/audio guide package. It’s the best way to hear about everything at your own pace. I love bagpipes anyway, so was happy to discover this instrument played often and in many different places, including in the parks and on street corners. 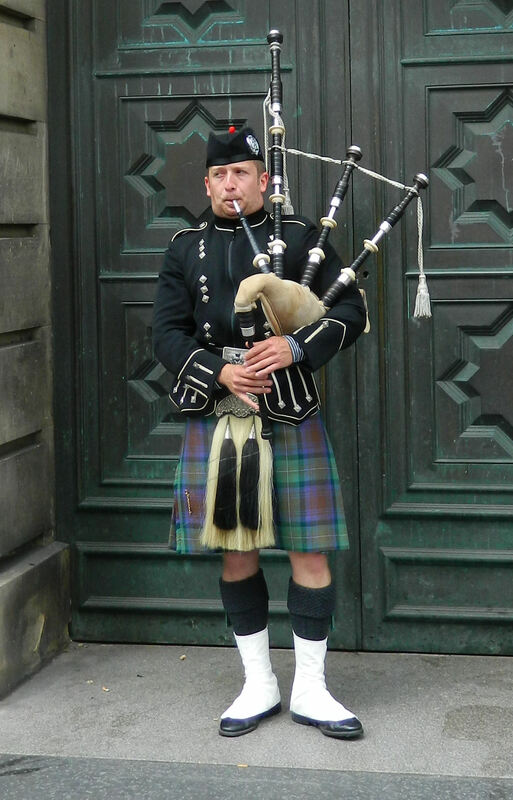 It really was a little like the famed “Pied Piper.” Whenever a musician would start playing, people would come rushing over from all directions just to have a listen. A perfect soundtrack to my visit! 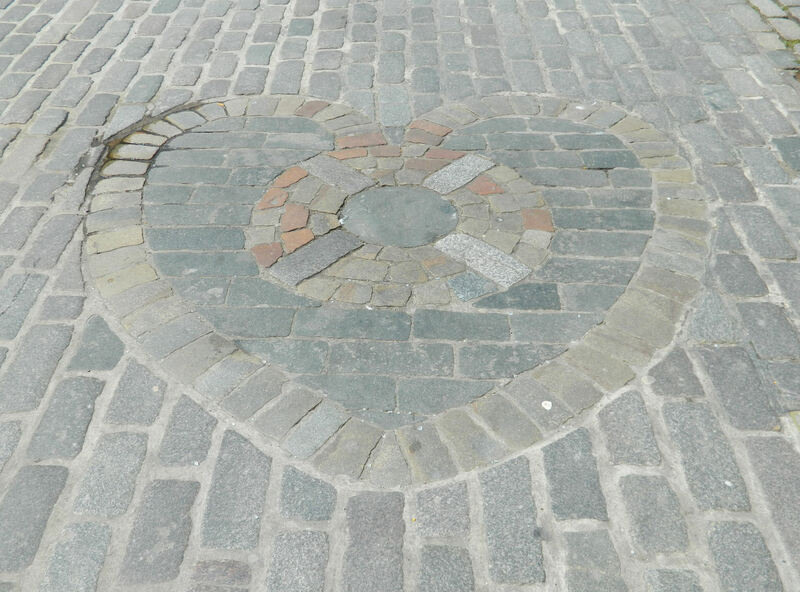 This is the name given to the Old Town area’s main thoroughfare, and runs “about one Scots mile” from the Edinburgh Castle on one end to Holyrood Palace on the other. 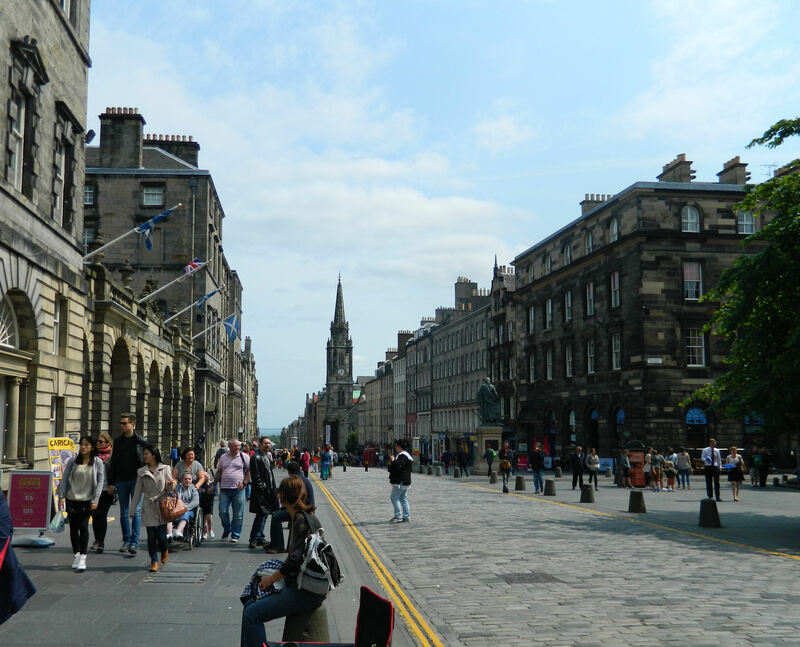 This narrow-street area is also the busiest and most packed with tourists and attractions, including the beautiful and iconic St. Giles’ Cathedral, old houses and pubs, and stores. So cute – and in my favorite color! There are also “closes and wynds” throughout the area. 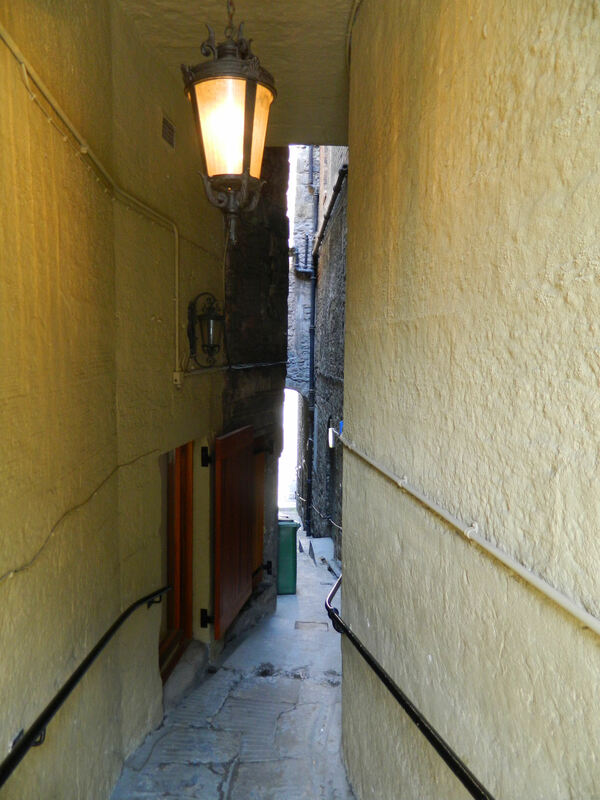 These are extremely narrow alleys/passages in between the buildings that lead to a tenement or courtyard or another street at a different level. 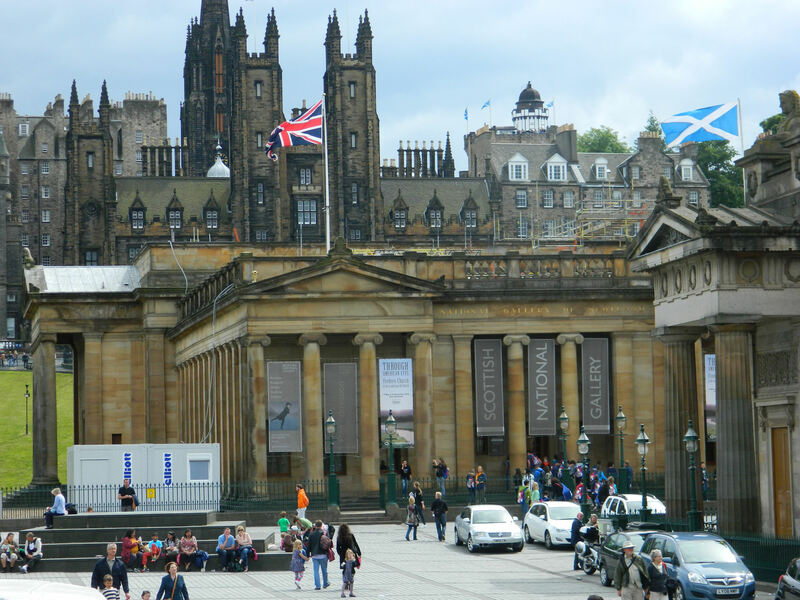 The fact that all of Edinburgh’s museums are free is nice but it becomes even more impressive when you realize just how spectacular these places really are. The Museum of Edinburgh, the Scottish National Portrait Gallery, the Writers’ Museum, and even the Museum of Childhood are all fun and definitely worth a visit. 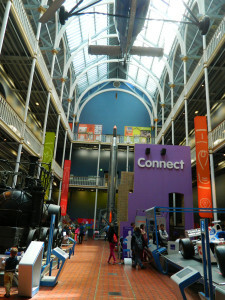 And the National Museum of Scotland, which has a great hands-on area in its Science and Technology Gallery that explains everything from space travel to train engines to robotics. I could have spent a LOT more time at this quirky place. The “Camera Obscura and World of Illusions” traces its beginnings to 1776, when a young man charged admission to view his optical instruments and telescopes. Today, it offers several floors of mind-expanding exhibits, including the Magic Gallery of optical illusions, a room that lets guests hold lightning in their hands, an exhibit full of holograms, a fun and games stairway, and the Camera Obscura itself. 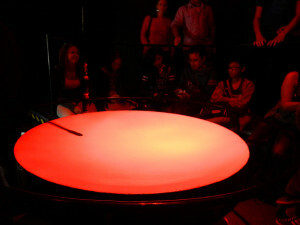 For the Obscura, guests go up to the building’s rooftop chamber and watch an oval-shaped viewing table, which shows projections from a large periscope of live moving images from out on the street. What makes it even more fascinating is you are shown how to “pick up” any one of the projected people or even redirect traffic over paper obstacles through the magic of mirrors and lenses. I’m usually pretty good at trying a country’s specialties and if not becoming a fan, at least finding something different to enjoy. But that didn’t seem to be the case here. I just could not enjoy haggis. And I had the misfortune to choose restaurants that kept wanting to put organ meats (of all types!) on whatever I ordered. Even at the hotel breakfast bar, I’d ask for plain scrambled eggs with nothing else and receive a scoop of something black on top because “you don’t know what you’re missing!” That went on for 3 days, folks. Since coming home I’ve received a lot of suggestions for what I should have ordered and how I should have worded my requests. But while there, desperation drove me 1 night to McDonald’s. I’m not proud – but at least it had a great view! Still, everything else (except for the rain that would come and go at the drop of a hat) was pretty wonderful. 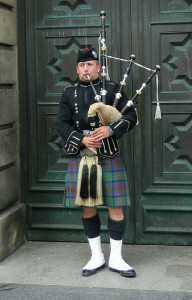 Edinburgh is a fantastic walking city that is drenched in interesting history, old tales, and charming people. And, at least for me, a great place to lose weight. Great Post, Deborah! You just moved Edinburgh up on my travel list! 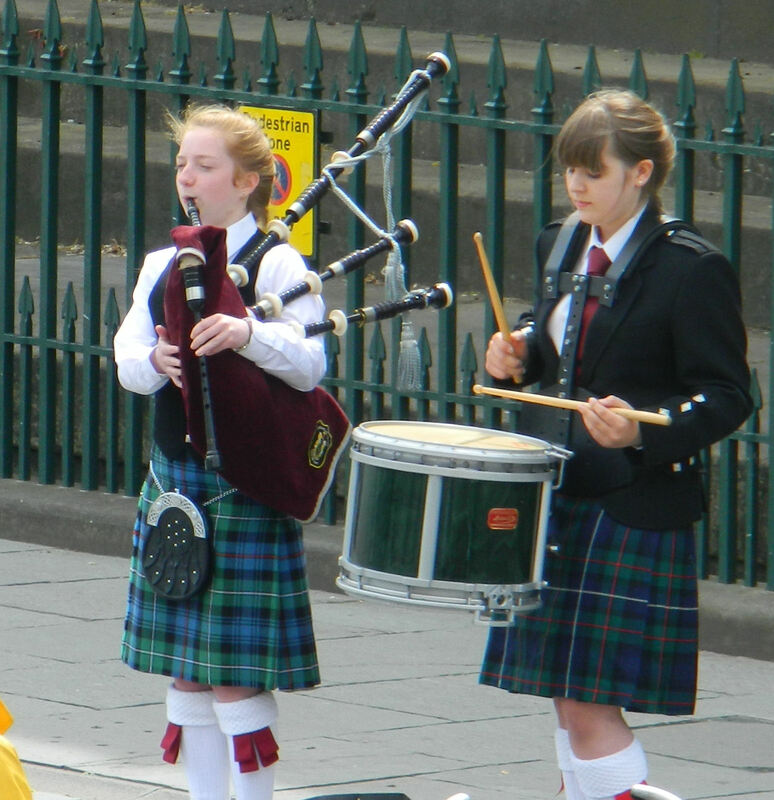 I am Scottish descent – my grandmother is a Burns – and I don’t travel to places for the food anyway! Love all your beautiful pictures! My husband and I saw a camera obscura in Cadiz, Spain a few years ago. It was on a rooftop, so it could be moved around to see people in the streets and cars and such – quite the spy glass. 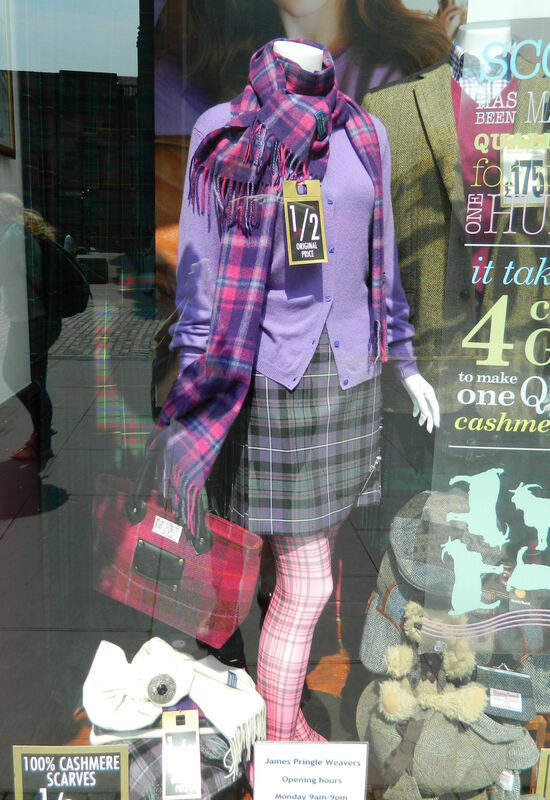 Thanks so much for the photo compliment Fawn, and I think you’d have a great time in Edinburgh! And how interesting about the camera obscura in Spain. I had never heard of them before but was really intrigued by what they can do. 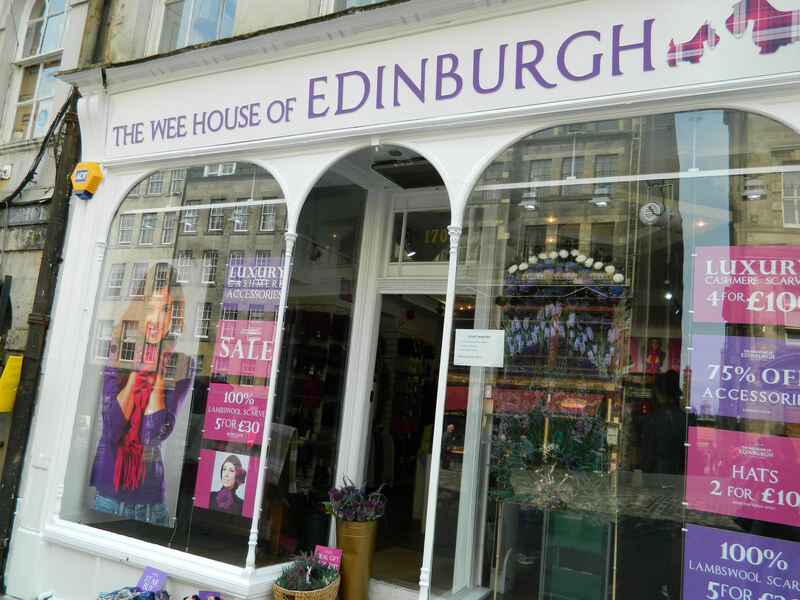 This looks like it would be a great place to visit. So much to see and so many places to explore. Thanks for sharing such great pictures and your top 5 highlights. You’re welcome! And thank you so much for dropping by and commenting. It really was a fun place to go exploring. 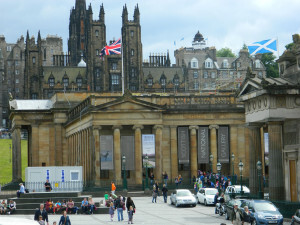 Always wanted to see Edinburgh and may yet do that but will pack a lunch just in case. I soooooo want to go! It’s on my bucket list for sure. It really is so interesting and fun Debbie, and I’m sure you’d do a LOT better with the food there than I did. Wow, Deborah, I wouldn’t be able to resist walking down one of those “closes or wynds.” So much to explore. 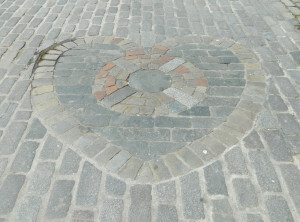 I love destinations that are full of history. Scotland is definitely on our must visit list. Some day, but for now, I’ll live vicariously through your adventures. :) Thanks so much for sharing at Inspire Me Wednesday. Featuring you in this week’s issue. I did the same thing! At first I was a little nervous that I’d get lost, but then I realized the town isn’t that big and I’d figure out where I was eventually. Thanks so much for featuring the story in your upcoming Inspire Me Wednesday linky. Much appreciated! Nice! 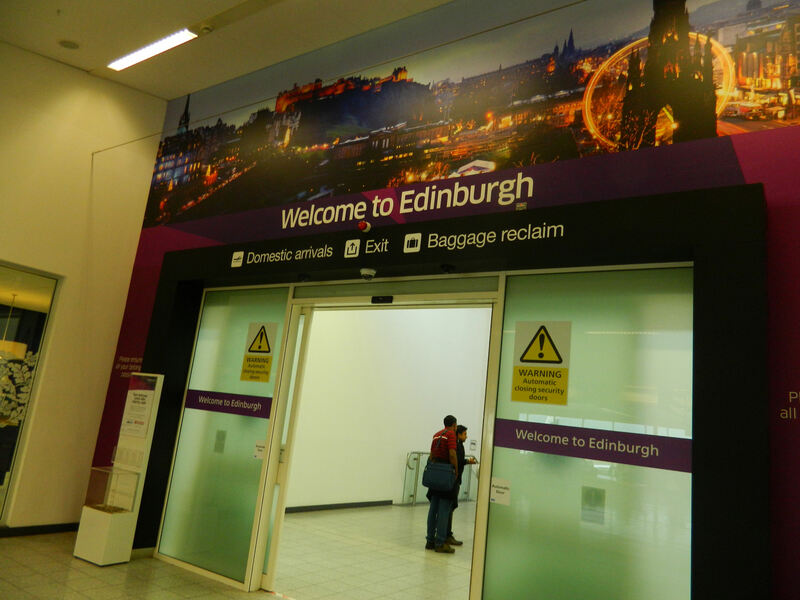 I visited Scotland, but didn’t get to see Edinburgh… just the inside of the train station. Hope to make it back one day. Oh no, you definitely need to go back! However, I was exactly opposite of you. I saw lots of Edinburgh but nothing of the rest of Scotland, and want to go back some day to see Glasgow and Loch Ness. Where all did you visit? 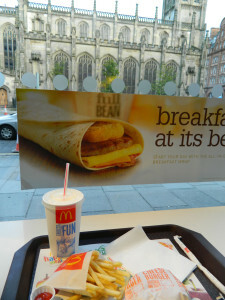 After living in Scotland for three years, I can definitely agree that the food is the worst part about it. 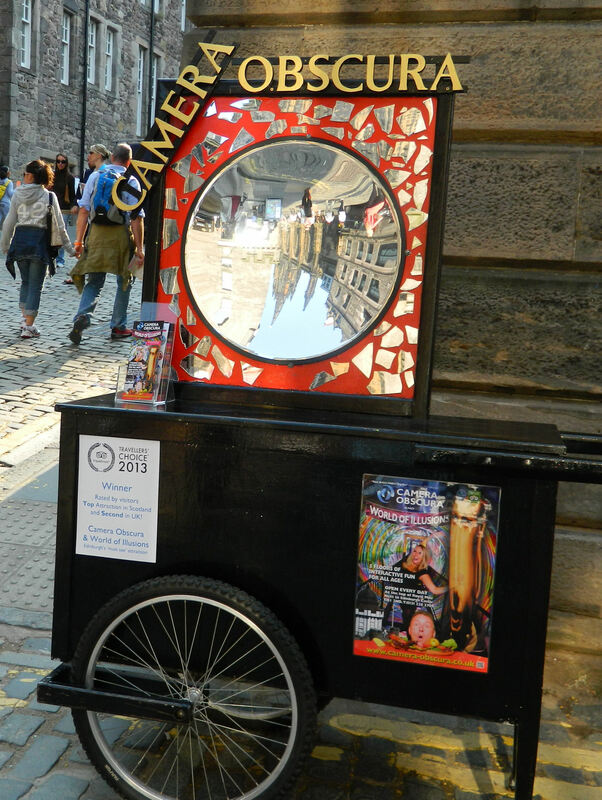 But you’ve missed the hands-down absolute best thing about Edinburgh…the Fringe Festival! It’s a magnificent annual theatre festival that runs for the entire month of August. The population triples in size, there are countless shows running 24 hours a day, and the whole city is a great buzz of excitement, laughter, and creativity. It is truly an experience not to be missed! I think you’re right Kyra. 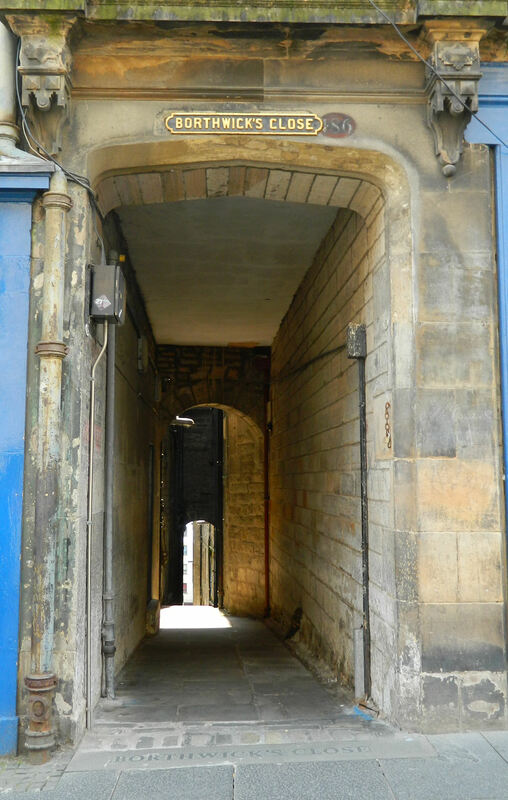 I’ve heard nothing but wonderful things about the Fringe Festival from those who have been lucky enough to experience it. Unfortunately, I haven’t been that lucky yet. Hopefully I can make sure my next trip is during such a fun time!